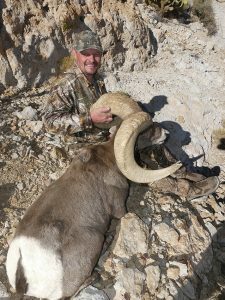 After 4 days of hunting with Exclusive Pursuit Outfitters in Arizona’s Unit 15D John Barczak was able to lay his hands on an absolute giant of a desert bighorn ram. John’s willingness to push through some challenging obstacles in order to get into a position to shoot his ram was critical. 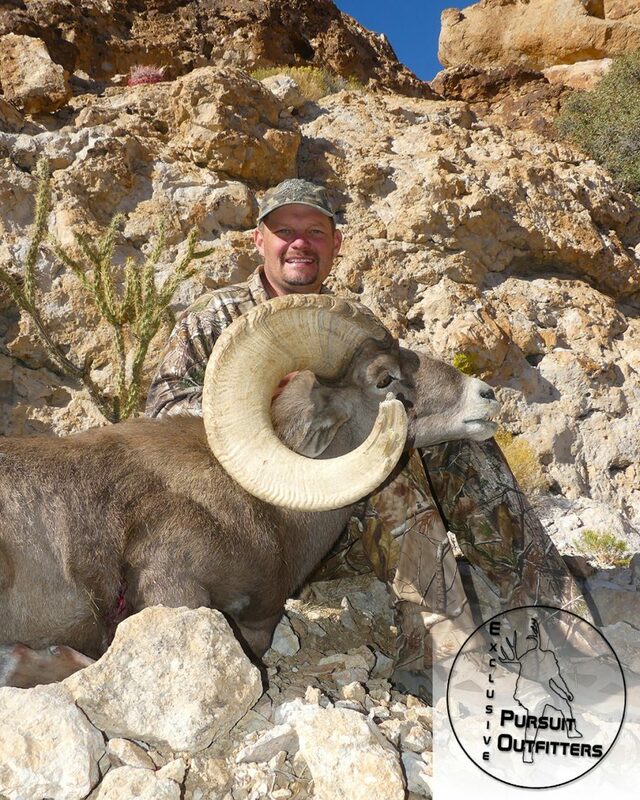 This ram was located on a mountain with steep edges, unreal rock structures, cliffs & chutes. 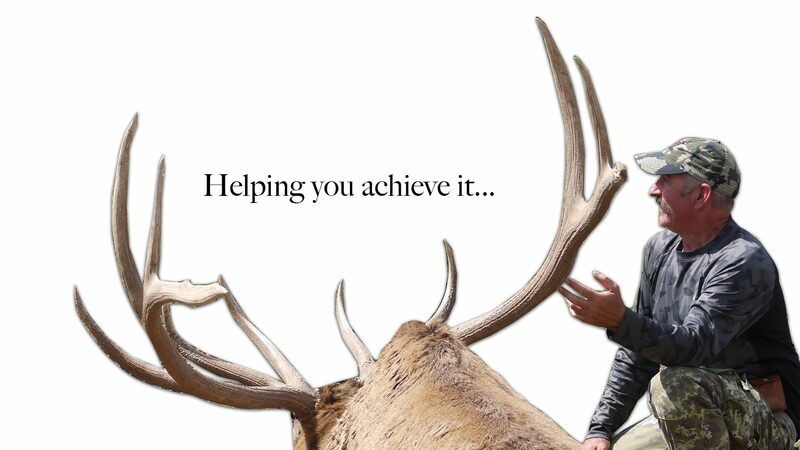 Amazingly after the 60 day drying period John’s desert bighorn officially grossed scored 174 0/8″ & net scored 173 1/8″. 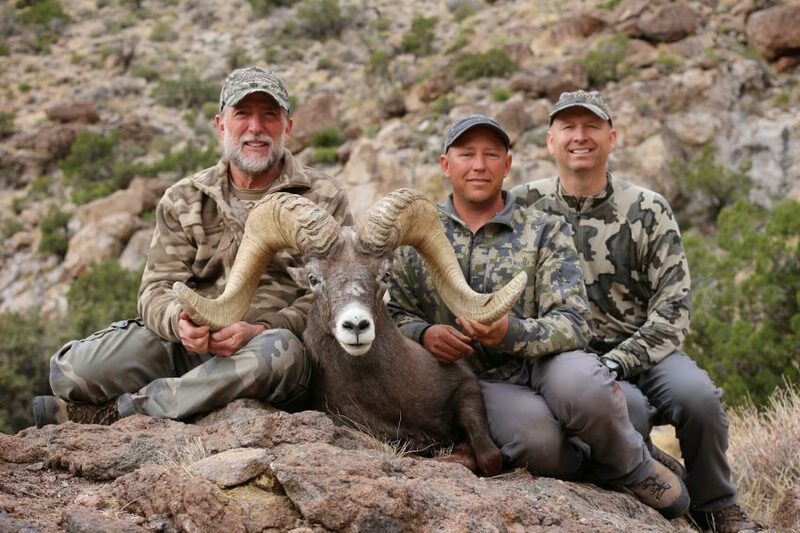 This was the largest ram taken in unit 15d in over 2 years & it was the largest nelsoni desert bighorn sheep taken in the state of Arizona in 2017! 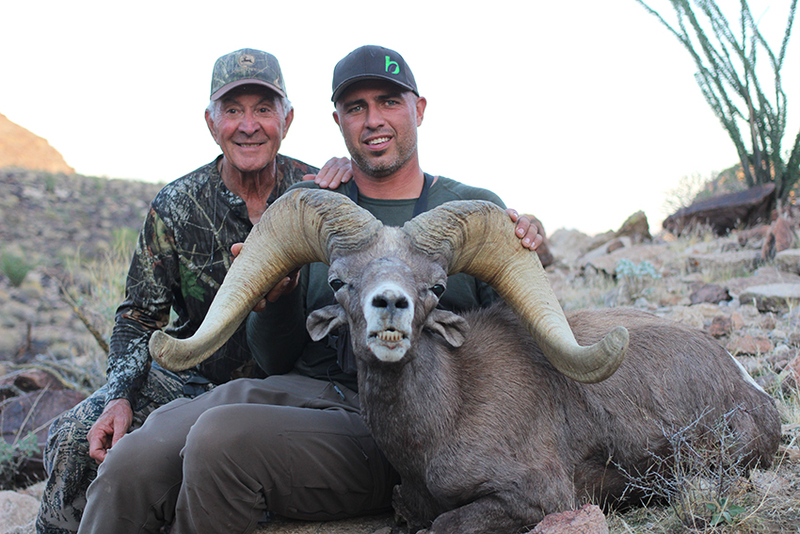 Frank Argo & Craig Steele with Frank’s Arizona Raffle Desert Bighorn Sheep (Nelsoni). 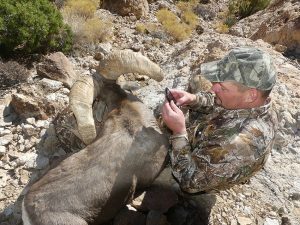 As we evaluated the 2016 Arizona Desert Bighorn Sheep Hunting Units, we broke it down into the 2 desert sub-species & Rocky Mountain Bighorn Sheep, so we would be comparing apples-to-apples. Arizona Desert Bighorn Sheep are classified into Mexicana and Nelsoni sub-species, which they are typically defined by geography. Mexicana usually rams don’t flare out wide, but tend to hold their mass throughout their horns and on average, score better. Nelsoni rams tend to be all over the map with regards to horn structure, but they are most known for being wide, long and flared out look. The biggest talked about issue in the Nelsoni or Region 3 Desert Bighorn Sheep Units this year is the pneumonia outbreak which has taken place over the past year. This outbreak was discovered in December & is being closely monitored by the Arizona Game & Fish Department. In a link below you can listen to the latest information regarding this outbreak, so you can at least be informed. 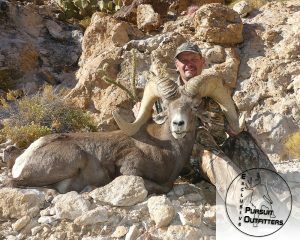 Bob O’Conner with his big nelsoni desert bighorn taken with Darr Colburn & Jay Scott (Colburn & Scott Outfitters). 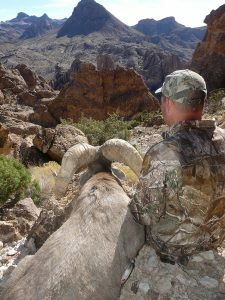 Listen to Episode #145 of the Jay Scott Outdoors Podcast as we discuss the Best Units for Arizona Desert Bighorn Sheep Hunting in 2016. We recently were out scouting for Desert Bighorn Sheep in Unit 15D, which is one of Arizona’s Top producing trophy sheep units. Recent reports have suggested a possible pneumonia issue within this herd, we will continue to monitor these sheep via our personal scouting efforts & thru the Arizona Game & Fish Department. In one morning of glassing, we saw 15 healthy desert bighorn rams. Out of these 15 rams we saw 2 class 4 rams, both of these rams were off by themselves & appeared to be in super healthy conditions.